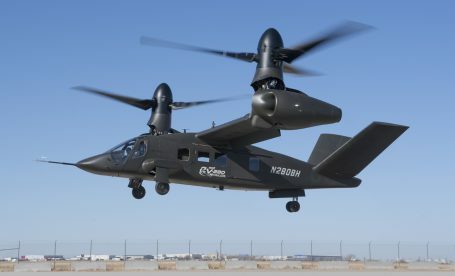 The Bell V-280 Valor was flown for the first time by a U.S. Army pilot Feb 7. The Army pilot flew the V-280 Valor to gain a better understanding of how the aircraft worked. During the flight, the pilot performed Hover In Ground Effect repositioning, pattern flight and roll-on landings. The V-280 Valor program has already surpassed great milestones such as first flight and flight at 80 knots. Bell’s first flight with an Army pilot is yet another on-schedule milestone in Bell’s Future Vertical Lift efforts.